So, I guess this is turning into a baby blog. This will drive away more readers. MWA HA HA HA!! But I did want to start writing this again just to keep a record of the experience. EJ also says and does funny stuff almost daily. The thing that surprises me is that she has never learned much about pregnancy. They obviously didn’t teach anything in schools. There’s nothing on TV about it. I think she and her sisters never discussed it. So everything is new to her. Which I’m trying to fight. Before they moved out a couple of weeks ago, our neighbor gave us a thick Korean book on pregnancy. It has a lot of good basic information, like what the fetus looks like during each week, but they’ve also put in some filler of superstitions and unsubstantiated science. And if it’s in Korean, it must be the utmost authority. Screw what the Mayo Clinic says. For example, it talks about a Japanese family with a few girls who are all whiz kids. The father attributes it to the fact that he started talking to them during the embryo stage. So now we have to start talking to it. But not only talk. EJ wanted us to decide which language to talk to it in. The embryo. I’m really feeling for her. She is so worried because of her age. The doctors say she is fine. She hasn’t had any throwing up fits, but her stomach is jumpy. She can’t have it empty or too full. She’s lot her appetite for many foods, but she craves everything I, well, don’t crave–jalapeno juice, seaweed, stewed fish. She doesn’t want any mammal meat or anything grilled. I make sure to get up before her and make something for her stomach when she wakes up. She dreams of food. But she also hasn’t been sleeping well, which is why I sleep on the floor in the living room for the moment. My snoring bothers her sometimes, even though I’ve bought her the most top-of-the-line ear plugs. I don’t mind sleeping on the floor. I actually like it. But the sun really bears down hard early in the morning. It even penetrates my beauty sleep mask. We need to buy some curtains. In other news, I had a tooth break a long time ago. I’ve been meaning to get around to fixing it, but other things took priority. Then one week, the remains started hurting. While brushing my teeth, a bit came loose. I couldn’t go to sleep with a wiggling tooth, so I took some tweezers and ripped it out, Rambo style. IT HURT! But now it feels better. We went to the dentist, and she said that the tooth is dead. So there’s not much I can do about it but get an expensive implant. But the root is still there, so my teeth won’t shift. On the other hand, I did have a cavity on the other side of my mouth, so we’re taking care of that. The trouble is that I can only chew on the side of my mouth with the missing tooth for now. I keep reverting back to 7 years-old, thinking that a new tooth is growing back. But it’s not. Take care of your teeth, boys and girls. Actually, I have been taking very good care of my teeth since I’ve been in Korea. I think my current problems are leftovers from my 20s, when I was very cavalier with my body. We’re gradually getting things and shopping around. Our neighbor also gave some maternity clothes, but EJ said they were too country. I agreed. I’ve gotten a baby blanket, and we’re pricing strollers. I know I need to start stocking up on diapers. We’re going to keep our eyes peeled for sales and get stuff when they’re discounted. Alkongi gets random gender pronouns. I love reading about EJ’s progress. This is a great place for keeping up with Alkongi’s prenatal development and y’alls experience. He/she will love reading this one day. 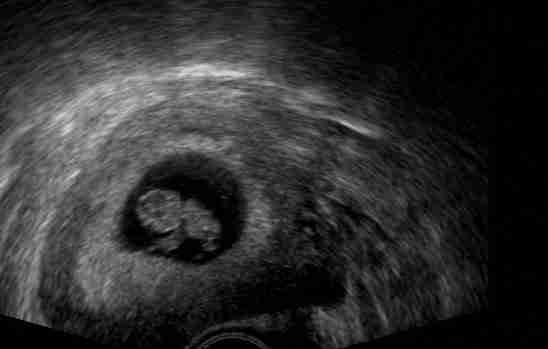 EJ’s 1st trimester will be over soon, along with all the “urpiness”. Just wait until she will savor every bite of lucious cuisine Korea has to offer. Take belly shots each month. So much fun to see the baby bump grow. Cannot wait to hold my new grandbaby. Miss you and Eun Jeong.